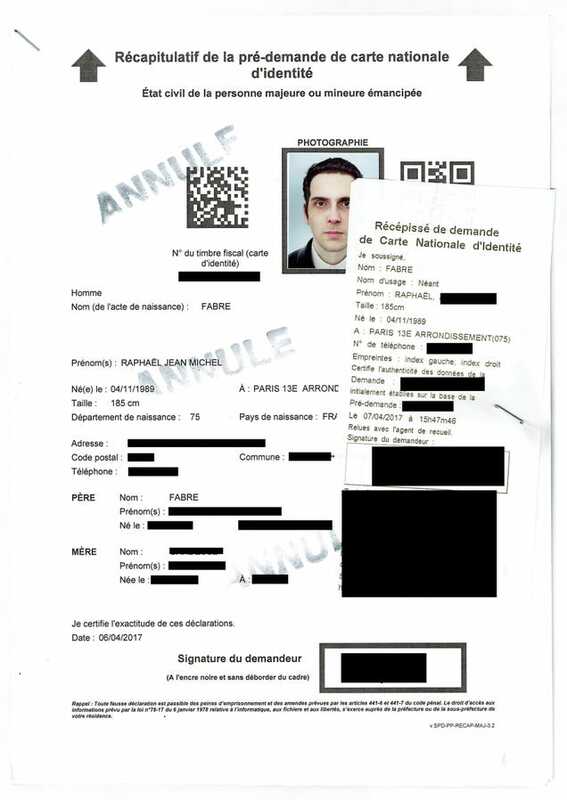 With a stunt that will probably see France initiating changes to its National ID card programe, an artist named Raphaël Fabre submitted a photorealistic computer-generated image of himself—and he says it was approved without question. To ensure his CG headshot was as artificial as possible, Fabre told Gizmodo that he modelled it by hand using 3D software, instead of digitising his head using a laser scanner—a time-saving technique used by video game and visual effect studios. He also says he used particle effects to generate fake hair, and eventually relied on multiple renderers to make the headshot look like it was snapped in a photobooth. I thought at first of using a 3D scan, but I wanted the picture to come as much from the softwares as possible, so I started from a basic cube in Blender, that I modified and sculpted to make a basic human head. The model is then re-sculpted more precisely in another software... I still needed to use a texture from photographs of myself, which are painted by projection on the model. Back in blender, all the lights, shaders, are added. The clothes are 3D models too... Once the model is rendered in blender, the 2D image had to be a lot retouched to correct the lights, make my face more resembling... and the image needed to look like it came from a photobooth, and not like a 3D render. Of course, the nature of this stunt, which Fabre also detailed on his website, is also a good reason to question its authenticity. As convincing as the photo of his new ID card looks (along with its supporting paperwork), an artist talented enough to make a photorealistic headshot could also easily Photoshop an existing ID card to support their claims. But Fabre has tried to fool audiences with 3D portraits before, so it’s not hard to believe he would try to fool his government to test just how realistic a fake headshot could be. When looking at a high-res version of Fabre’s headshot on a computer screen, it’s easy to see the subtle clues that hint it might be computer-generated. But applications for ID cards—even passports—only require a tiny headshot to be submitted along with other supporting documentation. Being able to tell that a grainy photo no bigger than a business card is CG is difficult, even when comparing it side-by-side to the real person. France’s identity card is non-compulsory, so it’s not like Fabre faked his birth certificate, or tried the same stunt with a passport. However, the card can be used as identification while travelling through most of Europe, and to other French territories, so France’s government probably won’t be too happy with this art project.